“This is our time!” screams Justin Timberlake at a pertinent moment in The Social Network, a moment meaningful within the context of the film, but also a moment many viewers latched onto for perhaps the wrong reasons. Do a Google search of reviews and think pieces and you’ll find countless words dedicated to how The Social Network is a film of its moment. “It is a moment in time that befits our time in a way that no other film has achieved in a decade,” exclaimed one blogger. “A pungent examination of how it changed all of our lives overnight” is how another put it, while further resorting to a classic party line about technology by intoning, “The more connected we are technologically, the more disconnected we become in terms of actual discourse.” One couldn’t escape 2010 without thinking that no other film besides The Social Network spoke to “the way we live now,” without defining what that even meant. Computer Chess, the newest film from Andrew Bujalski, approaches “the now” through antiquated technology in a historical setting. It’s a film so psychologically manic and almost Lynchian in terms of its logic that on its surface, it might appear impossible to decode. But it’s all there—the telling statements of computer vs. man (man as computer, really) and the changing role of technology in how we think. You want a movie of the now? Look no further. 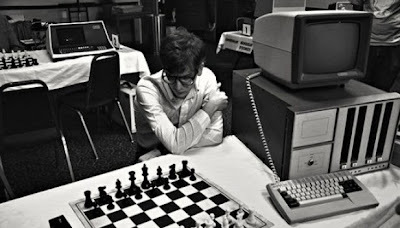 But The Social Network is also something that Computer Chess is not, which is the digital revolution. This is something Bujalski hints at—an important meeting of harbingers of the future, an emphasis on analog materials like projectors and printouts. But that’s just the buttery surface, the mindset required for what’s actually being explored. However, The Social Network’s narrative, and Fincher’s filmic approach to it, tells us about the switch from analog to digital information, about the changes that have effected the digitization of personal space and material. “Sometimes the eyes give us all the information we get,” writes David Bordwell in his astute examination of Fincher’s film. Eyes are loaded with information in The Social Network, and where eyes look (or don’t look) tell us what we need to know. 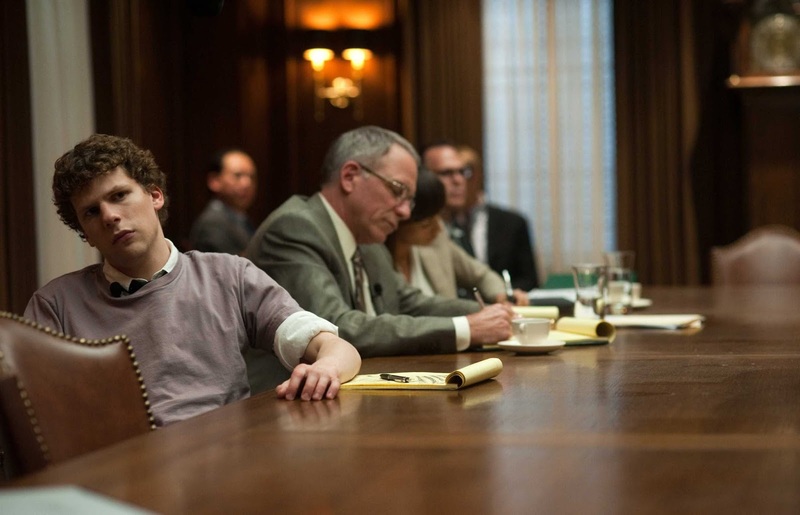 More than any other film in Fincher’s career, The Social Network is a film about characters looking at each other. They talk about things, but more than that, they look at each other within a space. The number of exteriors in The Social Network is exceedingly low; there are almost no establishing shots. The credits play out in a number of large exterior wide shots throughout the Harvard campus—a wholly connected ecosystem of space (an interview in American Cinematographer revealed that this was originally planned as a single, extended tracking shot, which might have further emphasized these relationships). As the technology in the film spreads out of Harvard and onto the world, the connected spaces seem to break apart, so much that even those sitting in the same room feel more disjointed. Fincher slowly breaks down space itself, compartmentalizing characters into a series of one shots in which they stare back and forth at each other. Compare this to Sorkin’s usual gambit of unifying characters through elongated tracking shots (known lovingly as “The Walk and Talk”), showing the team as a whole. Fincher, along with his editors Kirk Baxter and Angus Wall (who, according to one study, brought the film in at an astonishing 2.9 ASL), instead emphasize the splitting of space. A couple begins together and falls apart. Best friends work together and end up enemies. The only two who stick together are those who are actually a single entity. It’s a film about disconnection, both in terms of its narrative as well as its visual strategy. 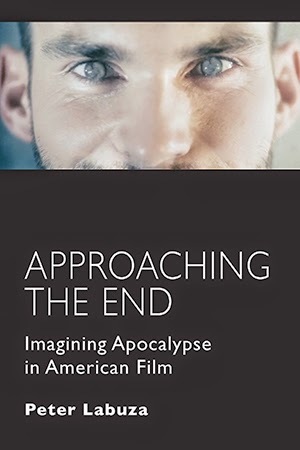 This disconnection, however, is part of Fincher’s examination of the digital revolution not as an interest in new technologies, but in the loss of analog ones, something that has percolated through a number of his films. Zodiac, his magnum opus on information, is the most telling statement. 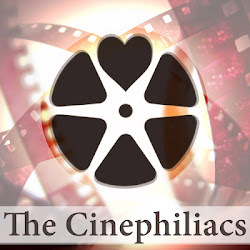 It’s a film in which the attempts to catch a serial killer fail specifically because of analog technology—the clotted file flow between police departments, the “stolen” library books without records, the reliance on analog phones (Robert Graysmith’s first date with his future wife is spent waiting around his apartment for a phone call). The absence of digital technology is continually felt through the film’s beautifully rendered CGI backdrops (as well as the Pong game sitting in Avery’s boathouse). The Girl With the Dragon Tattoo takes a similar approach to information, as the film is about negotiations between an analog and a digital character: the old school journalist Blomkvist and the new-age hacker Salander. Both require each other’s skills to solve the case; he uses digital manipulation of photos to create the narrative while she searches map archives and decodes meanings of Bible passages to solve the mystery. Fincher is a physical director; Bujalski is a psychological one. But even when reverting to dream sequences (which Computer Chess does) or bland exposition, he still depends on audio-lingual devices to clue us into psychology. (Which is why the story of Funny Ha Ha’s written “umms” has always been essential to describing the film—it’s less an attempt at realism of coversation that to incite specifics about each character’s inner thought process). Visually, Computer Chess is the anti-Social Network; it’s decidedly unattractive (black and white produced by old VHS cameras) and the frames are more improvisatory (or at least appear so) compared to Fincher’s exacting compositions. Bujalski takes a documentary-like approach (including smudges on the screen) to the chess competition between computer engineers so he can give a sense that he’s ripped a hole in space-time so we may observe the past more clearly. Meanwhile, the computers act more sentient than the people programming them. The concept of the chess games itself even reverse-engineers the usual user relationship, as Bujalski observes time after time players waiting for the machines to tell them what to do. 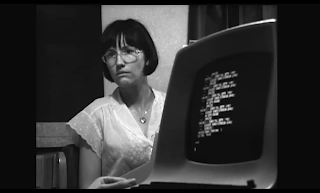 In fact, the real main character of the film is TSTAR 3.0, the (apparently) suicidal computer. Peter realizes that TSTAR is not only is acting on its own will, but when he tests it against a human, only then does it “adapt” and finally win. Later, his colleague recalls a memory as TSTAR turns on its user, asking it about its soul. “ASK YOUR QUESTIONS,” the simple codec reads, as if, as one character describes earlier, “real artificial intelligence” becomes “artificial real intelligence.” When TSTAR is asked about his own soul, he responds with the ultrasound picture of a fetus, an image that defies expectations. During TSTAR’s meltdown, we hear a series of dialogue recorded from the film, as if it had been spying on the various players (as part of its contract with the Pentagon?). TSTAR’s own mind and soul haunt the film, his own self-actualization a parallel to Peter’s own sexual becoming. This is all played for strange and broad humor, but there’s no doubt that Computer Chess is developed to mirror the contemporary relationship between machines and men (and an occasional lady, who must be constantly gawked at for being a lady). The film’s characters might be parody, but they recognizably mirror our neuroses about technology—not the fear that the computer will destroy us, but that we must cede control to the digital world. We can’t even go to a restaurant anymore without an interaction to check Yelp scores (which might be written by other humans, but not ones that we know) or pull out Google Maps on an iPhone when stepping out of a subway platform. Even an easy riff on “computer dating” is made more nuanced when Shelley discusses things in terms of traits and advantages, an overtaking of logic over feeling. One of Computer Chess’s perhaps somewhat shallow gambits is comparing the various computer geeks to a cult-like spiritual group that occupies the conference room during the off hours (made “other” by the presence of their African group leader, who is “probably from Detroit,” as one snide geek remarks). Their odd byways and open connections, even if a little too easy in comedic value, are posed as inherently opposite to those of the mechanical men of the day hours. But in many ways, Bujalski’s point is that, to another world and time, the language of the geeks is just as inaccessible and cultish as those who practice spiritualism. Is our ability to understand and comprehend Computer Chess simply a product of the fact that its language and ideologies are those that currently dominate our own technological culture? Perhaps this is Computer Chess’s ultimate point about its analog technology; that pioneers are bound always to be incomprehensible to their present. So here we have two movies, both which I am told are about one thing, but which are ultimately about the opposite. The Social Network concerns epistemology—our way of knowing how to comprehend the outside world, and more importantly, other people around us. It’s a cynical film that shows how our supposed disconnection is actually removing the ambiguities of real life interaction (In a Facebook world, Mark would not be sidelined by a break up, but instead see the writing on the, excuse the pun, wall). Computer Chess explores how our interior lives are slowly taking shape by investigating what is (at one point literally) inside our brains, our new forms of process and output, of reflection and action in a world where everything must fit into the box. You can try and program a new model of thinking and building, live on the edge of drugs and wander the halls late at night, but make one mistake, and you might get lost in a loop lost in a loop lost in a loop lost …. First of all, I’m extremely indebted to Jim Gabriel for reviewing a late draft of this piece and helping me put the finishing touches. A fresh pair of eyes is the best gift for a writer, and Jim is no slouch when it comes to editing and calling one out on BS. 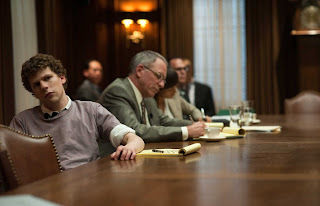 Secondly, I owe Thomas Elsaesser thanks for his seminar where we first discussed the role of analog technology in Zodiac and I first brought up the thought that The Social Network’s depositions might be seen as an analog form as well.